Turn3r sent in his collection of geeky adornments, including Teenage Mutant Ninja Turtles, Iron Man, Watchmen, and Full Metal Alchemist. 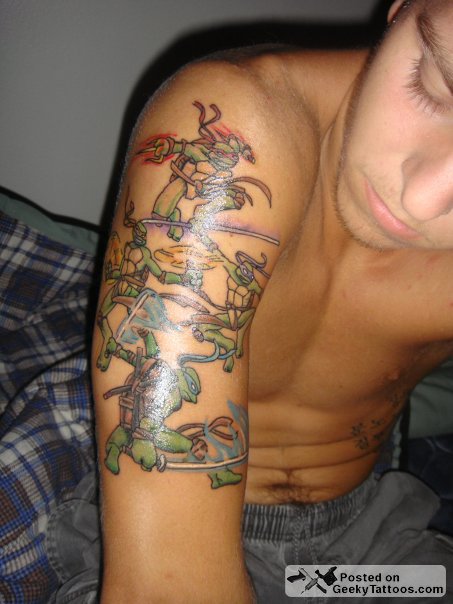 Lil Mike at the appropriately named “Lil Mike’s” in San Antonio inked the Turtles sleeve. The other three were all done by Anthony over at 808 Tattoo in Kaneohe, HI. Turn3r explained that his reason for these tattoos was simple: “I just like getting inked out, and I like getting ink done of things that I like.” Good enough for us! Posted in Anime & Manga, Comics, Tattoos, TV. Tagged with 808 Tattoo, arm, chest, Full Metal Alchemist, Iron Man, Lil Mike, Teenage Mutant Ninja Turtles, Watchmen. 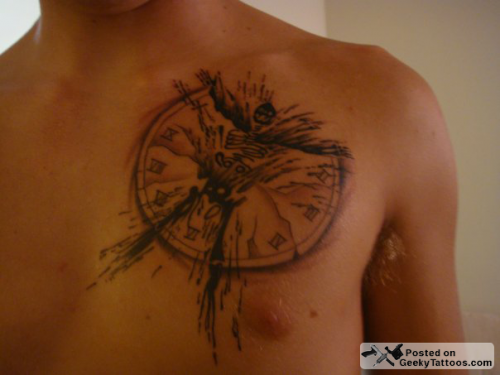 Love the Ninja Turtles tattoo. 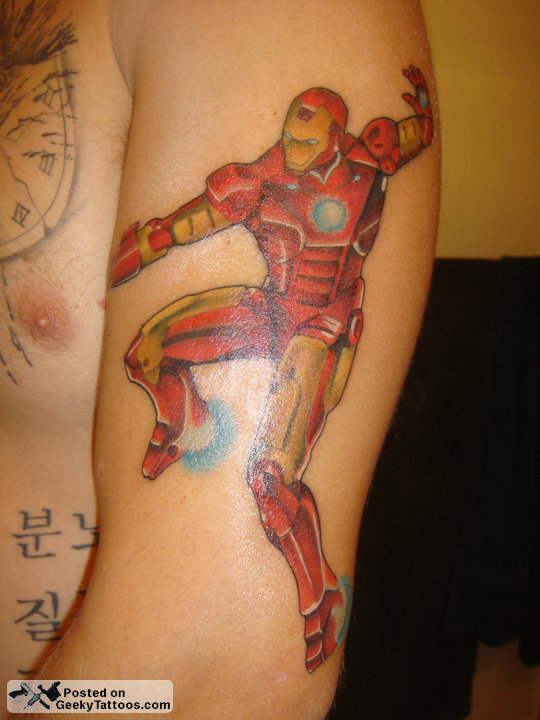 Kind of what I was thinking of getting next, I think it'll go great with my transformers tattoos!! 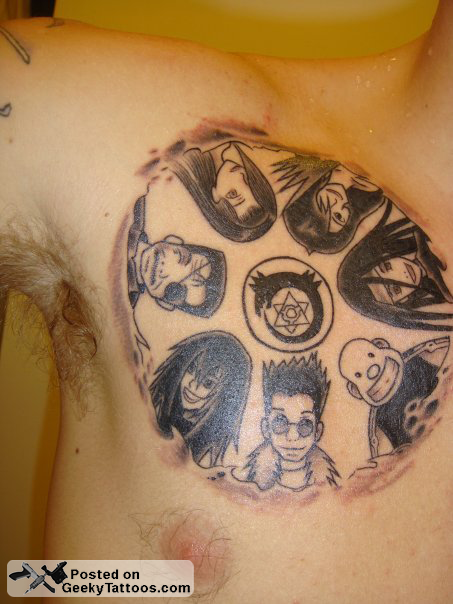 I really love the Fullmetal Alchemist's 7 Deadly Sin characters. Quite awesome! !